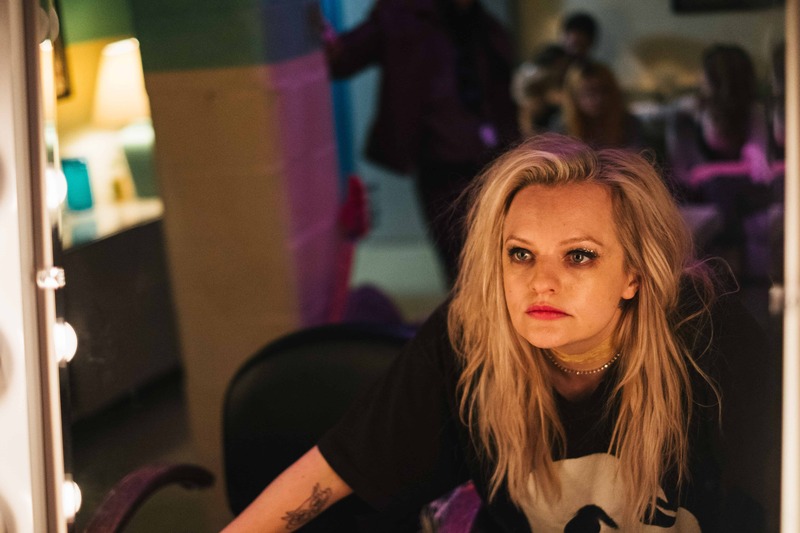 An audience favourite at TIFF and SXSW, Her Smell is a tense and gripping story that captures the fractured and uncomfortable energy, on and offstage, of an all-girl punk band climbing to fame in the height of the 1990s grunge era. Written and directed by Alex Ross Perry, Her Smell follows riot grrrl Becky, fiercely played by the inimitable Elisabeth Moss. 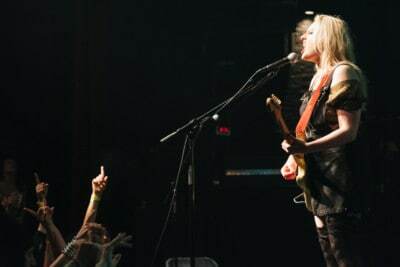 Always mesmerizing to watch, Moss gives us a powerful performance as the hot-tempered lead singer whose bandmates and family are held hostage as her addiction to drugs, and fame, intensifies. The irregular pacing of the film does a good job of pulling you from the comfort of the theatre and plopping you right into the concert venue green room as Becky goes from cooing at her baby in one moment to violently lashing out at whoever threatens or contradicts her in the next. It’s deeply distressing to watch and sparks a familiar feeling for anyone who has experienced a loved one in the throes of a full-blown addiction. Impossible to sustain, Becky’s reckless lifestyle eventually blows up and leaves her to make a decision: get better and pick up the pieces, or lose it all. For anyone who lived through this era, Her Smell will conjure up a flood of memories. I was a few years younger than Becky and her bandmates during this time period, so I didn’t hit up any grunge shows, but as an angsty fifteen year old in 1995, I spent a lot of nights blaring Hole from my stereo and feeling all sorts of rebellious as I chugged beer and made myself look as unkept as possible, in an effort to emulate the Seattle-born give-no-fucks scene. The film also stars Agyness Deyn as fellow bandmate Marielle Helle, caught in Becky’s web of destruction, and Cara Delevingne as Crassie Cassie, a front-woman who poses a threat to Becky’s reign as queen of the roaring punk scene. An honest portrayal of an era that boasted high energy and self-destructive behaviour in equal measure, Her Smell feels suffocating at times and liberating at others, accurately capturing a vivid cultural moment. (I also loved having two hours and fourteen minutes to recall the time when technology didn’t rule our lives.) A powerful story indeed, the drama is hard to stomach, but the set design, wardrobe, and 1990s cultural references offer delightful nostalgia that is fun to recall. Her Smell opens at TIFF Bell Lightbox on April 12. Watch the trailer now.